Some Flying Insects have a nasty sting or bite making them more difficult to live with than others. Other types of Flying Insects can leave holes in your favourite garments or cause untold damage to the stems and leaves of your most treasured plants. 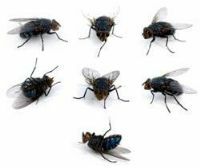 Therefore steps to control these flying pests must be taken at the first sign of an infestation. There are many forms of control, to eliminate such an infestation from your home. Insecticide sprays, traps and fumigating smoke bombs are available from Pest Control Supplies to rid your home of unwanted pests. 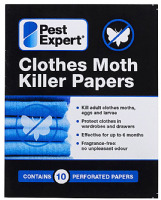 This Clothes Moth Killer Kit enables you to carry out a comprehensive clothes moth treatment to two bedrooms or two double wardrobes, using a range of the best clothes moth killer products from market leaders Pest Expert including: Formula 'C+' Clothes Moth Spray, Formula ‘P’ Clothes Moth Fogger, Moth Killer Cassettes, Moth Killer Papers and Demi Diamond Moth Trap. The combination of insecticides delivers a rapid knockdown of clothes moth and helps maintain long-lasting clothes moth control. Supplied with full instructions for use. This Cluster Fly Killer Kit enables you to carry out a comprehensive cluster fly treatment in your home or loft, using a range of the best cluster fly killer products from market leaders Pest Expert including: Formula 'C+' Cluster Fly Spray, Formula ‘P’ Cluster Fly Powder and Formula ‘P+’ Cluster Fly Fogger. The combination of insecticides delivers a rapid knockdown of cluster flies and helps maintain long-lasting cluster fly control. Supplied with full instructions for use. This Cluster Fly Killer Kit enables you to carry out a comprehensive cluster fly treatment in your home or loft, using a range of the best cluster fly killer products from market leaders Pest Expert including: Formula 'C+' Cluster Fly Spray, Formula ‘P’ Cluster Fly Powder and Formula ‘P’ Cluster Fly Fumer Smoke Bombs. The combination of insecticides delivers a rapid knockdown of cluster flies and helps maintain long-lasting cluster fly control. Supplied with full instructions for use. 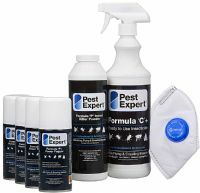 This Carpet Moth Killer Kit enables you to carry out a comprehensive carpet moth treatment to 3-4 rooms, using a range of the best carpet moth killer products from market leaders Pest Expert including: Formula 'C+' Carpet Moth Spray, Formula ‘P’ Carpet Moth Fogger, Formula ‘P’ Carpet Moth Powder and Demi Diamond Moth Trap. The combination of insecticides delivers a rapid knockdown of carpet moth and helps maintain long-lasting carpet moth control. Supplied with full instructions for use. 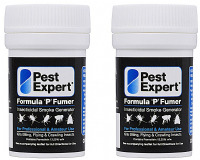 The Pest Expert Formula 'P+' XL Fogger is a total-release aerosol device for fumigating cluster fly infestations in very large lofts, roof voids, or open-plan living areas e.g. barn conversions. Over 3 times larger than a standard Fogger, the XL Fogger will treat up to 500 cubic metres. 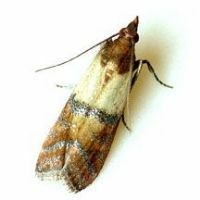 The Demi-Diamond is the most popular Clothes Moth Trap on the market. 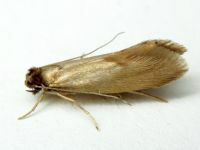 The powerful pheromone attracts male moths to the trap, where they get stuck to the adhesive, keeping moth numbers down. This pack contains 10 pheromone pads and 3 plastic holders. Each strip is effective for up to 12 weeks. Fast acting insecticidal foam for the control of wasps & hornets nests with a range of up to 18ft. 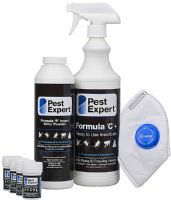 This Carpet Moth Killer Kit enables you to carry out a comprehensive carpet moth treatment to 1-2 rooms, using a range of the best carpet moth killer products from market leaders Pest Expert including: Formula 'C+' Carpet Moth Spray, Formula ‘P’ Carpet Moth Fogger, Formula ‘P’ Carpet Moth Powder and Demi Diamond Moth Trap. The combination of insecticides delivers a rapid knockdown of carpet moth and helps maintain long-lasting carpet moth control. Supplied with full instructions for use. Pest Expert Formula 'C+' Clothes Moth Spray kills clothes moths fast and leaves a residue that offers long-lasting clothes moth control. This ready-to-use insecticide is safe for direct application to the interior walls of wardrobes and drawers. A 5L container covers 100 sq m.
The Clothes Moth Trap Pheromone Strips are for use with the Demi-Diamond holders. The pheromone attracts male moths, where they get stuck to the adhesive. This prevents further reproduction from taking place, keeping moth numbers down. Pack of 10 replacement pheromone strips. Each strip lasts up to 12 weeks. Pest Expert Formula 'C+' Cluster Fly Spray kills cluster flies fast and leaves a residue that offers long-lasting cluster fly control. This ready-to-use insecticide is safe for direct application to alighting surfaces including window frames and roof timbers. A one litre trigger spray covers 20 sq m.
Pest Expert Formula 'P' Fumers are cluster fly smoke bombs for fumigating cluster fly infestations. They release a smoke which is ideal for getting rid of cluster flies in lofts, roof spaces or other areas of the home. One twin pack is sufficient to treat a standard roof space in a 2-3 bedroom house. Pest Expert Formula ‘P’ Wasp Powder is a powerful permethrin dust which kills wasp eggs and larvae as well as adult wasps. Supplied in an easy-to-use puffer pack to enable precise application to nests and other cracks and crevices which may be harbouring wasps. The Pest Expert Formula 'P+' Fogger is a total-release aerosol device for fumigating cluster fly infestations. The Fogger releases an insecticidal gas which is ideal for getting rid of cluster flies in lofts, roof spaces or other areas of the home. One fogger is sufficient to treat a standard roof space in a 2-3 bedroom house.